Every Friday, the Friday Five will rank something in the world of college football -- anything and everything from the logical to the illogical. This week, we rank the best college football players that never made it in the NFL. The NFL Draft began on Thursday night in Chicago, and with it, college football fans had to officially say goodbye to some of their favorite players. When they walked up on that stage and held up those new NFL uniforms it was kind of like watching your child graduate. Except with a lot more boos from opposing fans. Anyway, as I sat in the press box during the first round on Thursday night I couldn't help but think of all the great college players that never made it in the NFL, or even had a chance to do so. It only made sense that this week's Friday Five would highlight five such players, but in order to keep the project from getting out of hand, I limited it to players who played during the most recent era of the NFL. The era in which the NFL Draft has become a major sporting event that likely drew more television viewers than NBA and NHL playoff games airing at the same time. Clarett is the only running back on this list, and he's the only running back I could even think of that would be on it. The reasoning is pretty simple: if you're a good running back in college, an NFL team is going to give you a shot. Of course, Clarett's story isn't that simple. 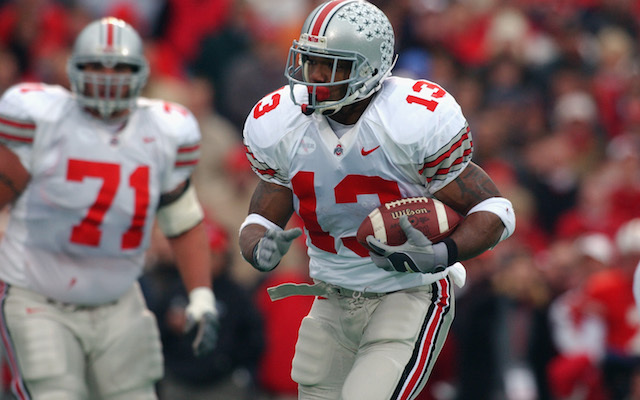 After a great freshman season at Ohio State, in which the Buckeyes won a national title, Clarett ran in to some NCAA trouble before his sophomore season, and then tried to challenge the NFL's age restrictions. He ultimately lost that battle, but did wind up as a third-round pick by the Denver Broncos in the 2005 draft. The problem was that Clarett had been out of football for a few years at that point, and was released from his contract before ever taking a single snap in an NFL game. Tony Rice is definitely not the last quarterback you're going to see on this list, and they all have something in common. The style of offenses they played in, and the kind of quarterbacks they were. 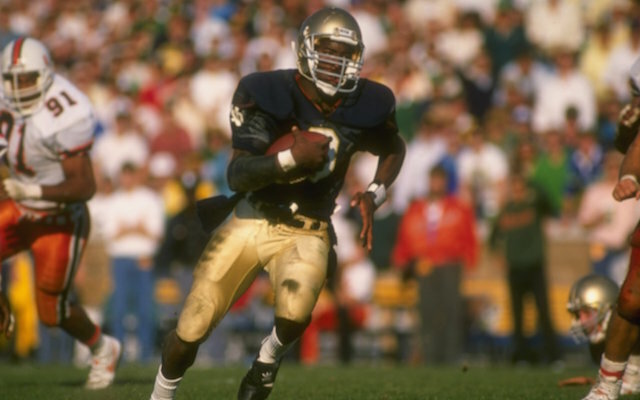 Rice was Notre Dame's starting quarterback the last time it won a national title in 1988, and to this day he remains the only player in Notre Dame history to throw for over 3,000 yards and rush for over 2,000. He was a true dual-threat player for the Irish, but since he was an option quarterback, the NFL had no interest in him. Rice's professional career would be limited to the Canadian Football League, the World Football League and the Football League of Europe, which is a league I never heard of before typing it just now. Collin Klein was one of my favorite college players of the last couple decades. 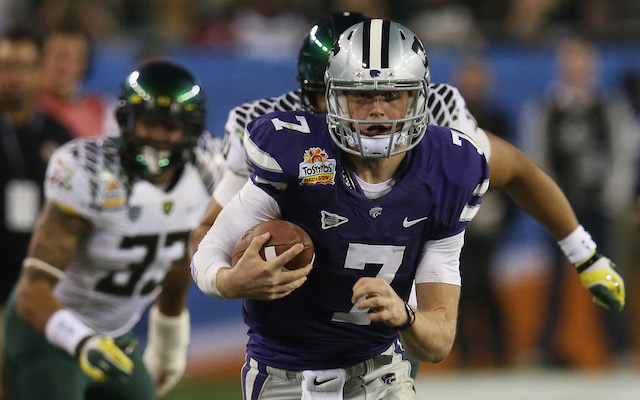 Klein was essentially a wrecking ball with arms and legs that seemingly willed Kansas State to win after win even though opposing defenses did everything in their power to stop him. They just couldn't. Klein finished his college career having thrown for 4,724 yards, rushing for 2,485 yards and with 87 total touchdowns. 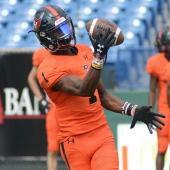 He was not drafted after leaving school, though he did work out for the Houston Texans as a tight end, but did not sign a contract with the team. He spent the 2014 season with the Montreal Alouettes. Charlie Ward is different than the others on this list because, for the most part, he made a personal choice. 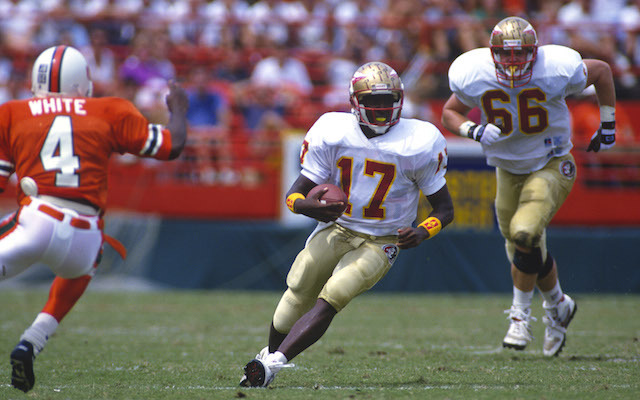 Ward won the Heisman Trophy and a national title with the Seminoles in 1993, finishing his career having thrown for 5,747 yards and 49 touchdowns. It's just, he didn't only play football at Florida State, he played basketball too. Oh, and though he didn't play baseball at FSU, he was drafted by the Milwaukee Brewers in 1993 and the New York Yankees in 1994. So, you know, Charlie was a good athlete. An athlete that said he wasn't going to play in the NFL unless he was selected in the first round. And he was a first round selection...by the New York Knicks in the NBA Draft. He went on to have an 11-year career in the NBA in which he made over $34 million. So he probaby doesn't regret the whole not playing in the NFL thing. Tommie Frazier is one of my favorite college football players of all time, and he was also one of the most dominant. While Frazier threw for 3,521 yards and 43 touchdowns at Nebraska, he only completed 49.5 percent of his passes. 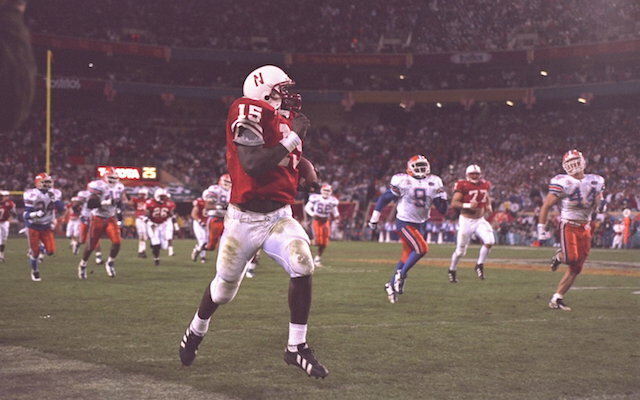 It was his handling of Nebraska's option attack that truly made him great, as he finished with 1,955 rushing yards and another 36 rushing touchdowns while leading Nebraska to back-to-back national titles in 1994 and 1995. He finished his college career with a record of 33-3 as a starter, but went undrafted. Not because NFL teams weren't willing to take a shot on him, but because of a blood clot in his left leg that was a sympton of the Crohn's Disease, which Frazier was diagnosed as having in 2007. Frazier did play in one professional game with the Montreal Alouettes, but a week later he was admitted to a local hospital with pneumonia. He would retire from football for good two weeks later.